RSM accepts registrations from Teachers, Specialists, Education Assistant & Education Assistant - Special Needs. Relief Staff can select Preferred Schools from a list of RSM Schools. Relief Staff select their Areas of Expertise. Relief Staff must register and complete all required information online before being activated. Please read the information below under 'Register Online!' to find out what you will need before Registration. Relief Teaching and Non-Teaching Staff will be charged a Annual Registration Fee for the 2019 school year. Teaching Staff - To be confirmed. Non-Teaching Staff - To be confirmed. All Teaching and Non-Teaching Relief Staff - will need the following list of items ready to upload or insert. 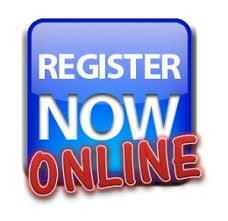 You need to be fully prepared because you cannot save an uncompleted Registration. All of these item file sizes must be under 1MB per file. All of these files must be in the correct file format (as listed). Qualifications – Various (pdf formats only) including Accreditation to Teach RE which is preferred but not essential. Preferred Schools - Select the 'Schools Locator' Tab on the Menu Bar and identify our current RSM Schools. Use this as a guide to choose your Preferred Schools when registering. TRBWA – Number, Date & Letter of Grant (Compulsory pdf format only). Locate & Download current ‘Letter of Grant’ then find it under Correspondence. SCN Letter from the Education Department – Replaces previous Police Certifications (Compulsory pdf format only). 5.2.2 Compulsory Police Clearance (Non-Teaching Staff): Prior to being employed all new employees, aged 18 years and above, including employees moving within the Western Australian Catholic education system, shall provide a current ‘CrimTrac’ 100-point, Check Police Clearance. For employees, new to the Catholic Education system in WA this is a ‘CrimTrac’ issued within the last 3 months. For employees changing from one WA Catholic school to another, where there is no gap of more than 6 months in their employment, this is a ‘CrimTrac’ not more than 36 months old. The cost of the clearance will be borne by the employee. Payments need to be made by Credit Card or PayPal through the PayPal portal - please have your details ready to use. Failure to supply the above information and the current valid documents for your WWCC, TRBWA or SCN Letter plus make your PayPal payment will delay your activation. If you have everything? 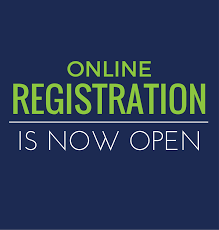 Then you are ready to register and complete Phase 1 of your registration process!